2014 Les Miserables - CHRYSALIS YOUTH THEATRE - Come Alive! *A small number of child roles are available. 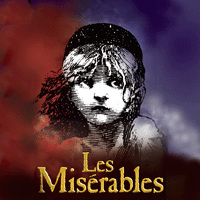 LES MISERABLES is one of the most popular, best-selling musicals ever written. It has been enjoyed by audiences for over 25 years. With incredible depth, this musical explores such themes as justice, forgiveness, love, and sacrifice. It asks hard questions and explores the very deepest, darkest corners of the human soul. Ultimately, love triumphs over all in this spectacular French-titled musical. We anticipate an extremely high turnout for auditions. This musical is on the bucket list of just about every theatre lover. We will add audition times as necessary. Sign up right away!! This musical is so big, so epic, and so amazing, we will need every bit of help we can get so that we can truly do it justice. For the moment, the best way you can help is to sign up and submit all fees and registration forms. Please help us by spreading the word! If you have any questions, please email Steven at stevenbrown@chrysalisyouththeatre.org. *Other small fees may apply, such as a script replacement security deposit. Sign up early to secure your audition slot! We plan to rehearse Monday, Wednesday, and Thursday from 4:00-6:00, and Saturday mornings from 10:00-1:00. As we only have eight weeks of rehearsals, you must be available for almost every rehearsal. No more than four conflicts are allowed, with the exception of a regular conflict on a single day of the week that you can miss for tech week and performances. Arriving late or leaving early are both considered conflicts. WILL YOU DOUBLE-CAST THE SHOW? If we have the ability to double-cast, we will happily do so. We would love to give as many students as possible the opportunity to play one of these great lead roles. Anyone given a lead role would likely also perform in the ensemble with the other cast, so as to give more learning opportunities and to more evenly distribute the talents of the cast. Naturally, all of this depends upon how many students sign up. I'M A POOR COLLEGE STUDENT...DO I STILL HAVE TO PAY THE TUITION FEE? We do typically require every performer to pay the tuition fee. We view this is as a learning opportunity more than just a chance to be in a fun show. We assemble a great production staff and they work very, very hard to give every performer the best training they can. While our tuition fee may seem high when you are on a student budget, you will notice that it is actually very, very cheap when compared to the cost of good quality $75+/hour voice lessons. We have a limited number of scholarships available, but we naturally do look to cast paying students in the lead roles whenever possible. If you need help raising the tuition fee, send us an email to see if we know of any small jobs you could do. I'VE HEARD THERE IS A LOT OF ADULT CONTENT IN THIS SHOW...IS THAT TRUE? WILL YOU REMOVE/ALTER/TONE DOWN ANY OF THIS CONTENT? We plan to stay faithful to the script and the original intent of the creative team that wrote this incredible musical. We do not plan to shy away from showing how awful things like death, sickness, and violence are. However, our depiction of prostitution will be more clothed and subdued than many productions, choosing to focus more on the sickness, starvation and misery than on the false glamor (though it will still be clear to adults who these characters are). THIS SOUNDS SCARY...WHY WOULD I WANT TO BE A PART OF SUCH A DARK MUSICAL? This musical definitely shows the darkness of sin that is in the world. It portrays a very sobering glimpse into a fallen world. However, this is ultimately a triumphant story. An interesting comparison would be the story of Jesus. It has many dark elements, as through Jesus' eyes we see horrible sickness, death and despair, prostitutes, murderers, and legions of evil spirits (including Satan himself!). Jesus is tempted, mocked, scorned, beaten, and finally executed in the slowest, most brutal way possible. But it is that very darkness which so brilliantly magnifies the glory of God and the need for, and magnitude of, His forgiveness. This musical has a similar effect, as the darkness in it serves to magnify acts of extreme bravery, sacrifice, love, friendship, and forgiveness.